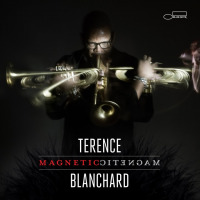 Trumpeter/band leader/ film scorer Terence Blanchard is the epitome of an artist who's made good choices. One of the distinct voices in the post-Miles Davis and Wynton Marsalis era, he has moved from being a young-lion with seminal players such as Donald Harrison in Black Pearl (Columbia, 1988), to delivering progressive projects such as Flow (Blue Note, 2005) and winning multiple Grammy awards for albums including 2007's A Tale Of God's Will (A Requiem For Katrina) (Blue Note). Recorded at the Ogden Museum of Southern Art, Choices is, surprisingly, his first completed CD made in his hometown of New Orleans. 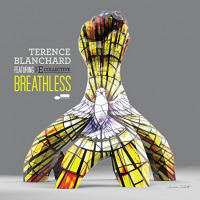 The warmth, ambiance and acoustics of the venue pours through each track, channeled through modern compositions and inspired performances by a dynamic sextet which includes Fabian Almazan (piano), Derrick Hodge (bass), Kendrick Scott (drums), Lionel Loueke (guitar) and saxophonist Walter Smith III. Blanchard is a meticulous but selfless leader, allowing the younger artists to shine, exchange ideas and contribute to the open process. 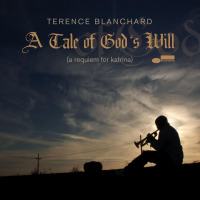 Imprinted with Blanchard's cinematic and swinging style the music is rooted but contemporary; advocating new ideas that include excerpts of a conversation between Blanchard and philosopher, author, and activist, Dr. Cornel West. The combination of eloquent intellectualism and stirring composition forms a thematic imprint. West's insightful words sprinkled throughout the music are like poetryuplifting, enlightening and provocative; expertly placed within the music as he articulates upon the ideas, questions and choices concerning music, humanity, and spiritualitya jazz dialog for the mind and ear. The tracks showcase these young artists as distinguished players and scintillating writers, including Smith's sophisticated movements in "Byus," and Scott's Brazilian-tinged "Journey," with seductive vocals provided by singer Bilal Sayeed Oliver (aka Bilal), who in turn gives a riveting performance on his soulful Lament, "When Will You Call." Almazan's "Hugs" shows his adroit pianism with beauty and drama as it pushes the musicians to new heights. In contrast, Hodge's "A New World" takes it to the streets with a funky swagger, as Blanchard and Loueke shred some notes. 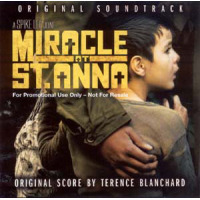 Still, Blanchard's consummate imprint and warm tone permeate the recording, and his mirrored tracks "D's Choice" and "Robin's Choice" are masterfulfull of emotion, spirit and humanity. 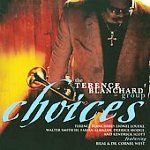 Mixing jazz and philosophy within a vibrant setting, the aptly titled Choices, continues to bear the good fruits of his thoughtful decisions. 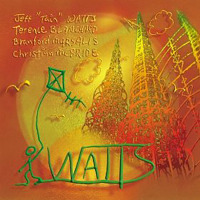 Track Listing: Byus; Beethoven; D's Choice; Journey; Hacia del Aire; Jazz Man in the World of Ideas; Him or Me; Choices; Hugs (Historically Underrepresented Groups); Winding Roads; When Will You Call; A New Note Angel; A New World (Created Inside the Walls of Imagination); Touched by an Angel; Robin's Choice. 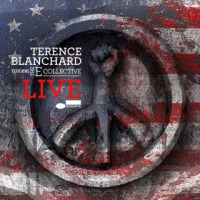 Personnel: Terence Blanchard: trumpet; Fabian Almazan: piano; Derrick Hodge: bass; Kendrick Scott: drums; Lionel Loueke: guitar; Walter Smith III: saxophone; Dr. Cornel West: spoken word (1-3, 6, 8, 10, 12, 13, 15); Bilal: vocals (3, 4, 10, 11, 14).